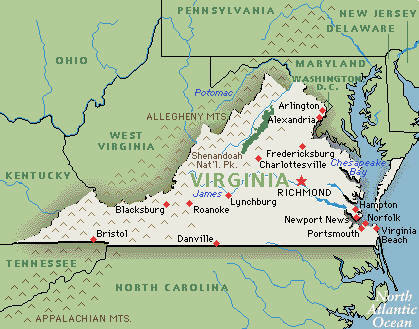 Electoral College Shenanigans in Virginia: Could They Come to NC? Those who took high school civics seriously know that we elect the President based on the electoral college, not the popular vote. In the electoral college, it’s only the states that matter. No matter whether one receives 51% or 90% of the state’s vote, all of its electors will go to the candidate who won statewide. But that’s not exactly how it works. The truth is, under the Constitution, the legislature is allowed to apportion its electoral votes however it wants. The winner-take-all system is just one option. Another option is the district method, used by Maine and Nebraska. Maine and Nebraska’s electors are elected at the congressional district level, with two “at-large” electors elected statewide. Now it looks like Virginia wants to follow in their footsteps – but with a twist. Virginia has 13 electoral votes; under the plan, 11 of its 13 electors would be elected through the district method. The two remaining electors would go to the person who won the majority of the other 11 districts. Conveniently for Republicans, Virginia is a Republican gerrymander. Thus, a Democrat could win the popular vote in Virginia, but end up getting only 3 out of 13 electoral votes. To put it simply, this is extending the power of the gerrymander to the presidential level. It is uncertain whether or not this bill is passed. Voters do not really care about gerrymandering, but they do understand when a plan will diminish their voting power. Second of all, Virginia only voted very slightly to the left of the nation at large, so it’s possible that such a plan could end up hurting them rather than helping them in the future. If the bill passes and is signed into law – and passes constitutional muster – is it possible we could see similar bills in North Carolina? It’s unlikely. For one thing, while North Carolinians only opted narrowly for Governor Romney over President Obama, the state as a whole is about six points right of the nation at large. To some extent, the move by Virginia Republicans implies that they are no longer confident in the Republican candidate’s chances of carrying their state in a presidential election. Fine, they say – we’ll cede 3 electoral votes to you. Now get out of here so we can compete in more traditional battlegrounds. North Carolina’s districts are even more unfavorable to Democrats than those in Virginia. So while changing the rules of the game might be tempting, it is probably too much of a risk and is much more likely to end up hurting them than helping them. But if the state trends strongly Democratic in the next couple of years, then legislators might have to reconsider. After all, all’s fair in politics. My guess, though, is that the Virginia bill will be too controversial for some Republicans to stomach, and it will be tabled.